Assemble in Canon Square Melksham at 7pm. 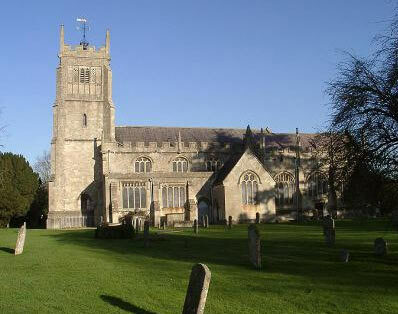 Ivan will talk about some of the famous and perhaps infamous residents of past Melksham who reside in the churchyard. Trail booklets will be available. 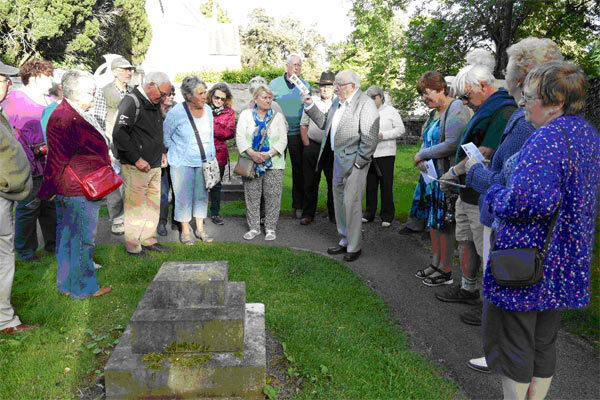 Our June Evening visit was to Melksham Church and Cemetery, a guided tour of the Cemetery titled “St Michaels Tombstone Trail”. Ivan Turtle, Tony Fivash and Peter Maslen, guided over 40 members and guests round the Cemetery pointing out some very interesting resting places of past Melksham residents. Many well-known shop keepers and Business owners of Melksham are interned in the Cemetery. Ivan, Tony and Peter kept us well informed of the business and history of the interned as we went round. Afterwards we were invited in the church for refreshments. A very enjoyable evening. Our next visit is to Lydiard Park, Swindon on July 20th. Details of times etc can be obtained from Peter Maslen on 01225 708142.